Heat oil in a wide pan,add jeera and fennel seeds when it splutter add onions and green chillies. Fry till onions get half transparent and add the ginger garlic paste. Saute till raw smell og ginger-garlic leaves. Add the finely chopped capsicum,fry for a minute and add the striped carrot pieces. Stir well and keep sauting till carrots get soft , then add chopped tomato and stir well. Now add chilli powder and curry powder,enough salt and mix well. Fry this masala for a minutes and add the shredded Paneer mix everything well. Then sprinkle the garam masala powder evenly and stir well. Add chopped coriander leaves and stir well. Now the veg paneer stuff is ready for the roll. Allow the paneer masala stuff to cool . 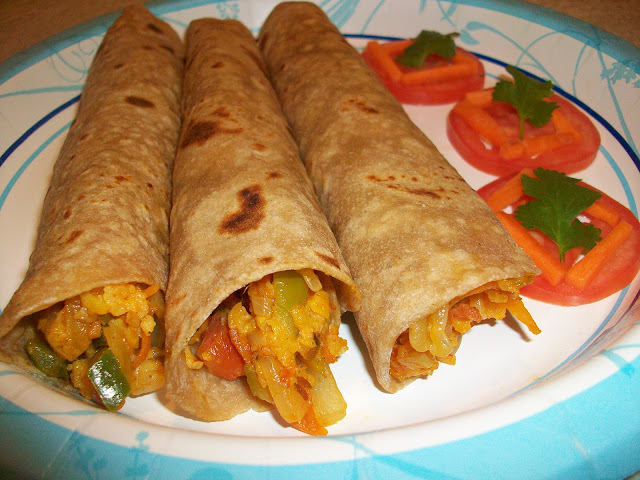 After that take a chapthi ,keep the filling stuff at the one end of the chapathi and roll tightly. Insert a toothpick to hold the ends . 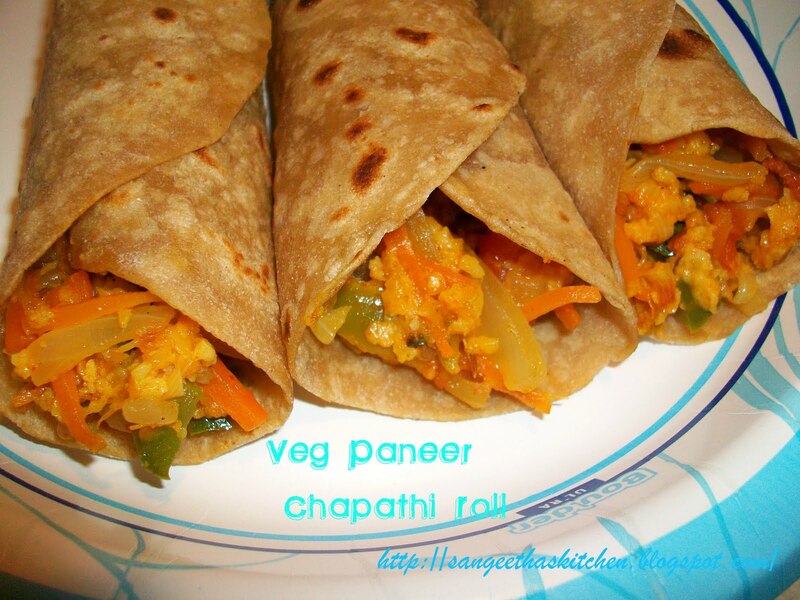 Now the Veg Paneer chapthi Roll is ready to serve. No need for any special side dish ,it can be served as such or with tomato ketchup .